Start your week with an infusion of good cheer including a silly squirrel selfie, a remarkable reunion and a prom to remember. 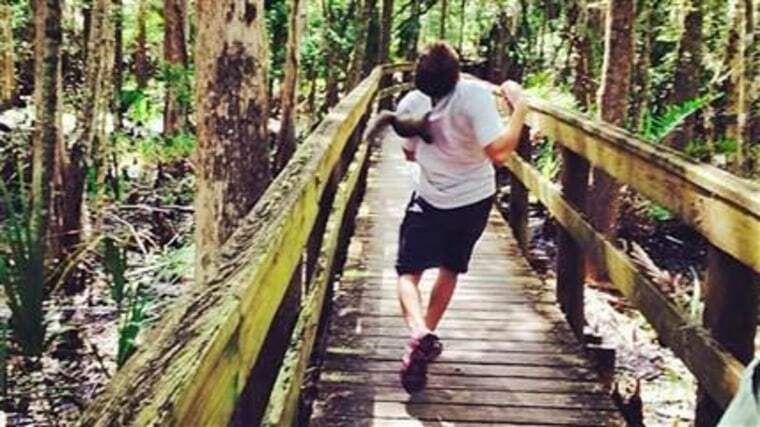 This squirrel selfie went from cute to crazy in seconds. It seems that at least one squirrel has a distinct aversion to social media antics. The Prom Couple to Rule All Prom Couples Meet quite possibly the world’s best grandson. This Ohio teen took his grandmother as his date to prom because she never had an opportunity to go when she was in high school. Don’t worry. He brought her home by curfew. It’s a piglet in a wheelchair. What else do you need to know? OK, the animal was geared to become someone’s dinner until a freak accident put it on another course. A 13-year-old girl is hoping to inspire random acts of kindness with her Sidewalk Smiles campaign. It took more than 40 years, but using social media a Vietnam veteran is able to track down members of his platoon.